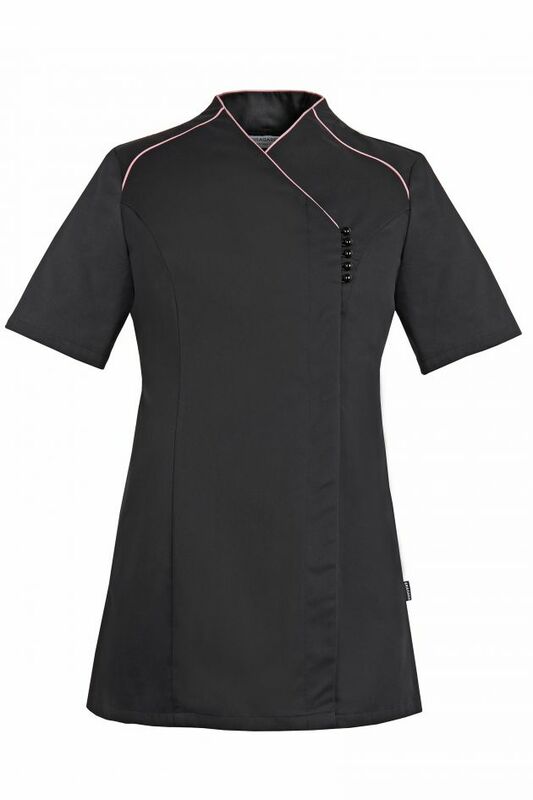 Women's tunic. 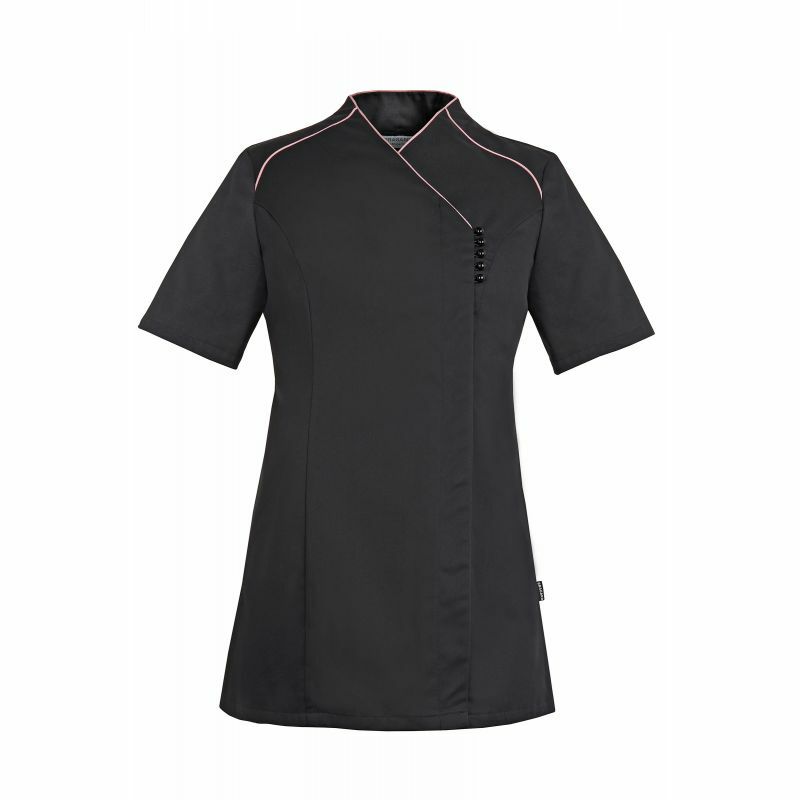 Mandarin collar with contrasting piping. 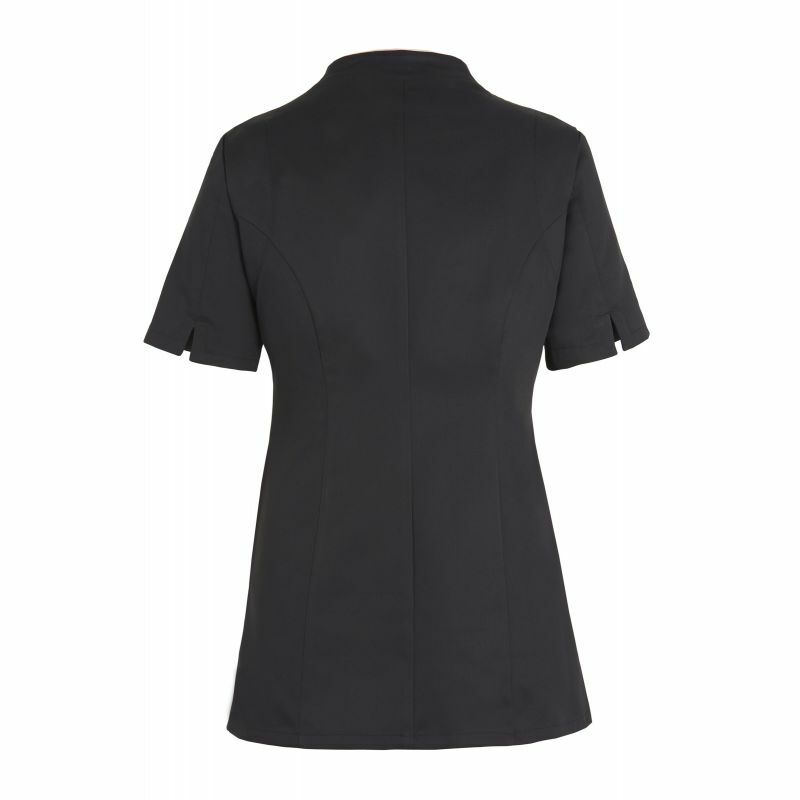 Concealed press-stud placket + 5 visible buttons. 2 decorated front cuts with contrasting piping. 2 side pockets. Short sleeves. Copyrighted pattern. Back length 75 cm 50% Tencel, 50% polyester.